Award Winning Premium Rhum, all natural hand made rhum in St. Maarten. 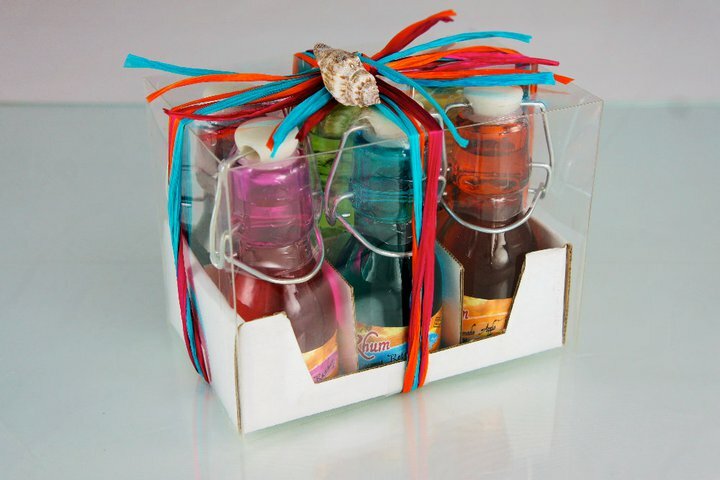 Sales & Marketing company, Anykey Services, is happy to be promoting the Topper’s Rhum brand online via StMaarten-Info.com, StMaartenGifts.com and StMaartenFlowers.com. How Topper’s Rhum came to be…. 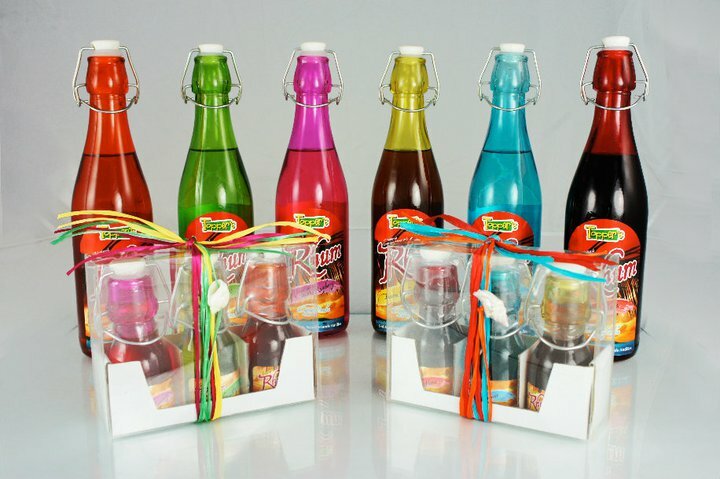 Topper’s Rhum is a family owned and operated rhum company inspired by a working mother of two young children who created gourmet flavored rhum in her home kitchen for the patrons of the family restaurants. Topper and Melanie Daboul live on the Dutch or southern side of St. Maarten where they own two restaurants, Topper’s Restaurant & Bar and Topper’s by the Sea. They started making all natural flavored rhums (the French spelling of rum) for their restaurants so that they could give a complimentary after dinner drink to their guests. These rhums are based on Melanie’s concoctions that she has been perfecting since 1994. The customers fell in love with their creations. They constantly asked if they could bottle their world famous rhum so that the patrons could take it home and share it with their friends. They quickly went from fulfilling individual requests to producing a supply for the restaurants and local stores out of their home kitchen. Early in 2012 discussions with their good friends Mike and Thelma King led to the formation of a partnership. Their vision was to build a distillery to produce Topper’s Rhum and to distribute the products throughout the world. They also had a common goal that involved giving back a portion of the proceeds from the sale of the rhum to help underprivileged children and battered women. It wasn’t long before the first bottle of rhum was produced in the distillery on November 1st, 2012. It was a triumphant moment that was filled with tears and quiet joy. On every bottle of Topper’s Rhum, there are two signatures: one is Topper’s, which represents his family, and the other is Mike’s, which represents him, Thelma and their families. On November 9th, 2012, the Mike & Thelma King Foundation was established to benefit citizens of the United States and St. Maarten whose families experience tragedies as well as underprivileged children and battered women. On December 15, 2012, Topper’s Rhum became St. Maarten’s only exported product. 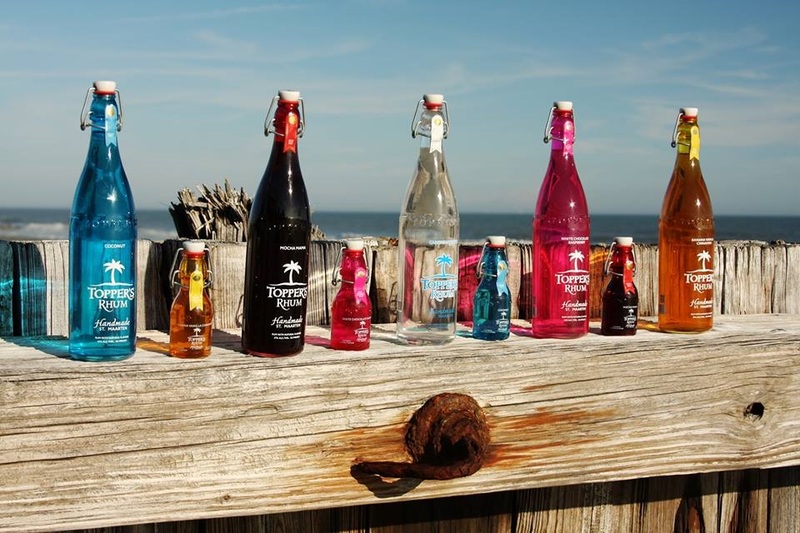 By January 2013, Topper’s Rhum appeared on store shelves in Charleston, South Carolina, Mike and Thelma’s hometown. It is now being distributed throughout the United States and other countries. Topper’s Rhum was submitted to the two most prestigious rum tasting contests in the world and won Gold in both competitions as well as winning more medals than any of its competitors. When you taste Topper’s Rhum, we hope that you’ll become a special part of our family, one that is dedicated to celebrating the lives of friends and family while helping others who are in need. Please spread the word and share Topper’s Rhum with your friends and families so that others may have the opportunity to experience its uniqueness. The families thank you for your continued support and for helping to keep the dream alive! Topper’s Rhum uses all natural flavors that are characteristic of the tropics and blended with premium Caribbean rhum to create a delicate and true-to-its-flavor spirit with an undeniably smooth finish. 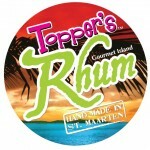 Every detail of Topper’s Rhum products are carefully considered and unprecedented. 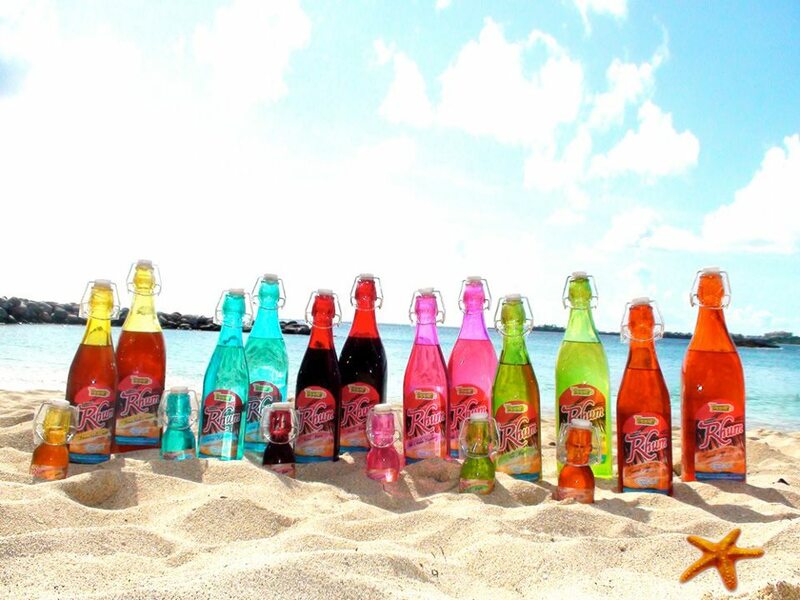 Topper’s Rhum is handmade and each bottle is hand filled and packaged with precision in the beautiful Caribbean island of St. Maarten. Topper’s Rhum is an award-winning premium rum. Here are a number of the awards Topper’s Rhum has managed to capture in recent years. 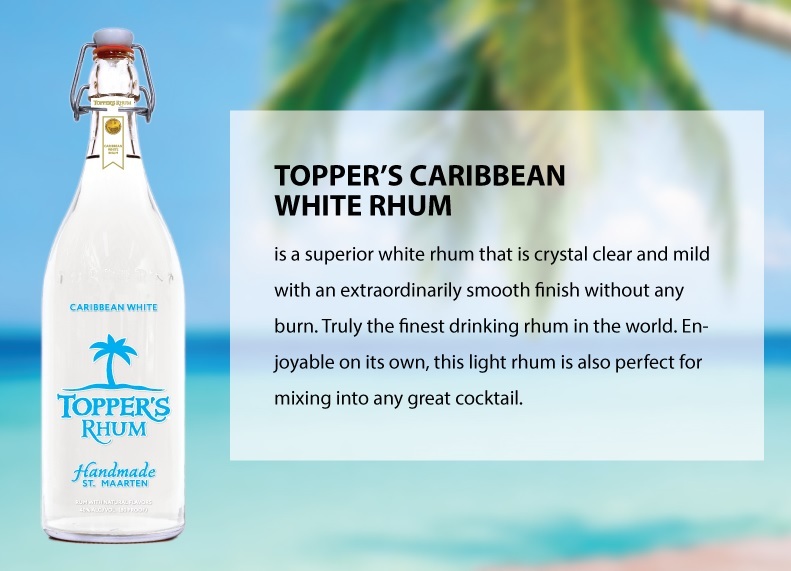 Topper’s Caribbean White Rhum is a superior white rhum that is crystal clear and mild with an extraordinarily smooth finish without any burn. Truly the finest drinking rhum in the world. Enjoyable on its own, this light rhum is also perfect for mixing into any great cocktail. 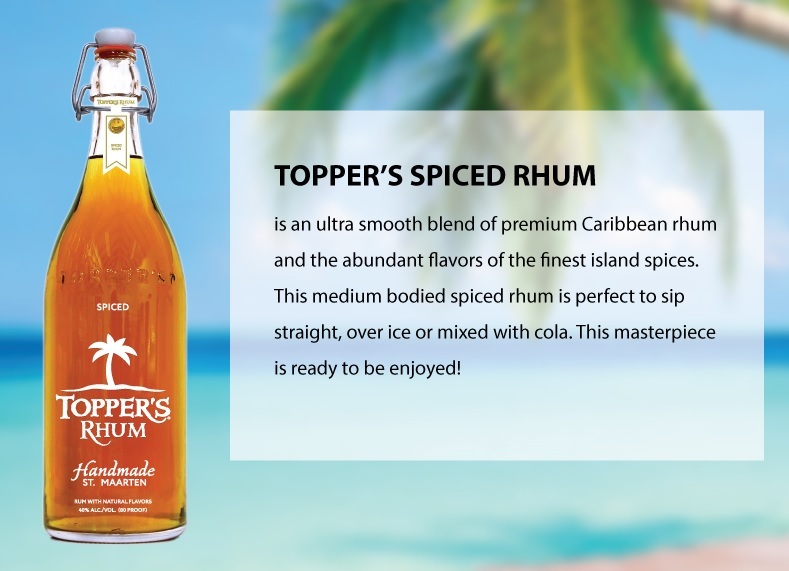 Topper’s Spiced Rhum is an ultra smooth blend of premium Caribbean rhum and the abundant flavors of the finest island spices. This medium bodied spiced rhum is perfect to sip straight, over ice or mixed with cola. This masterpiece is ready to be enjoyed! 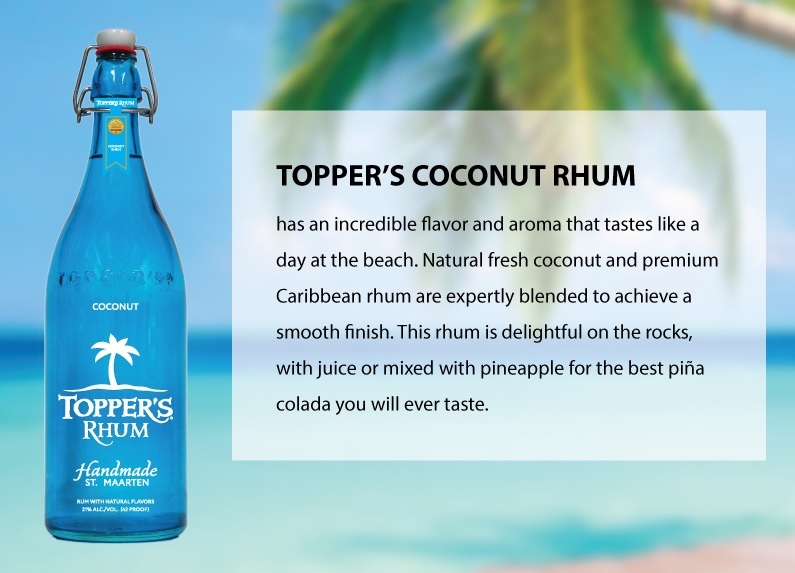 Topper’s Coconut Rhum has an incredible flavor and aroma that tastes like a day at the beach. Natural fresh coconut and premium Caribbean rhum are expertly blended to achieve a smooth finish. This rhum is delightful on the rocks, with juice or mixed with pineapple for the best piña colada you will ever taste. 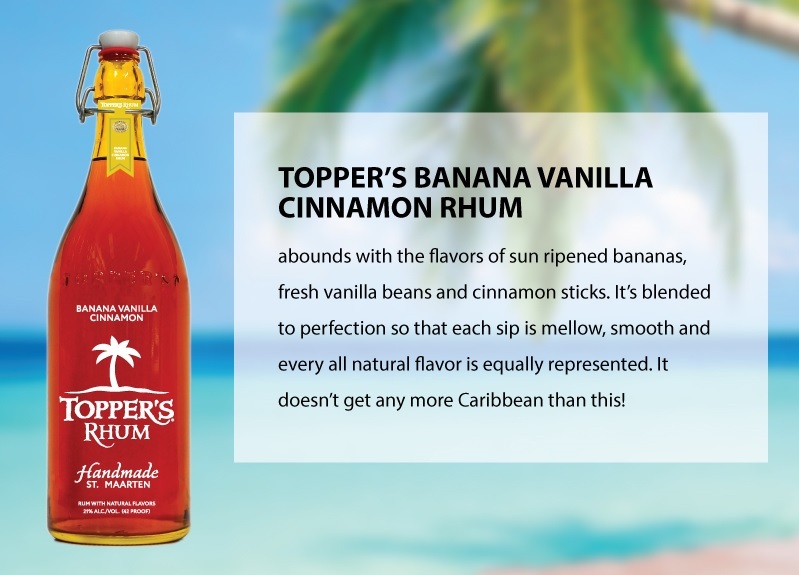 Topper’s Banana Vanilla Cinnamon Rhum abounds with the flavors of sun ripened bananas, fresh vanilla beans and cinnamon sticks. It’s blended to perfection so that each sip is mellow, smooth and every all natural flavor is equally represented. It doesn’t get any more Caribbean than this! 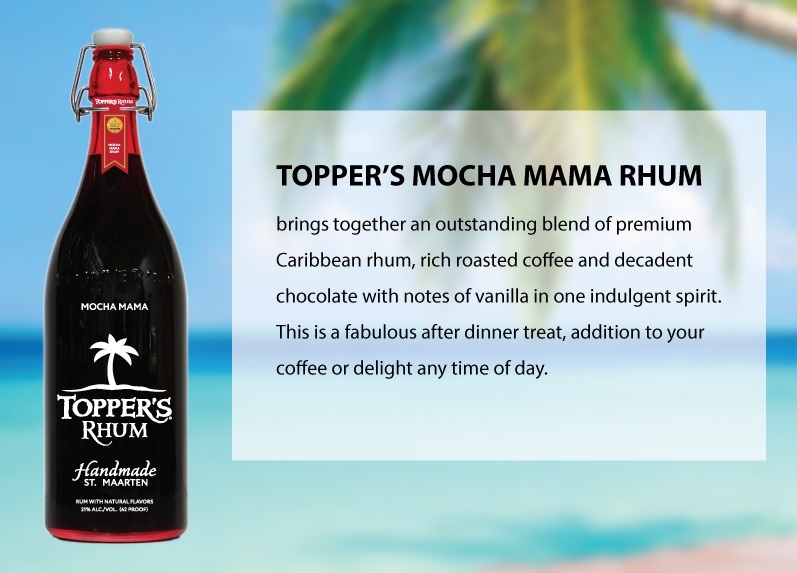 Topper’s Mocha Mama Rhum brings together an outstanding blend of premium Caribbean rhum, rich roasted coffee and decadent chocolate with notes of vanilla in one indulgent spirit. This is a fabulous after dinner treat, addition to your coffee or delight any time of day. 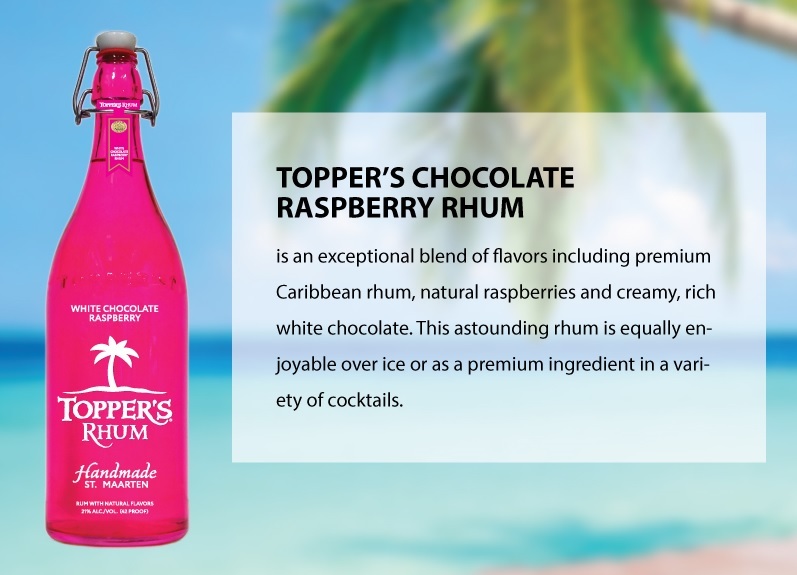 Topper’s White Chocolate Raspberry Rhum is an exceptional blend of flavors including premium Caribbean rhum, natural raspberries and creamy, rich white chocolate. This astounding rhum is equally enjoyable over ice or as a premium ingredient in a variety of cocktails. 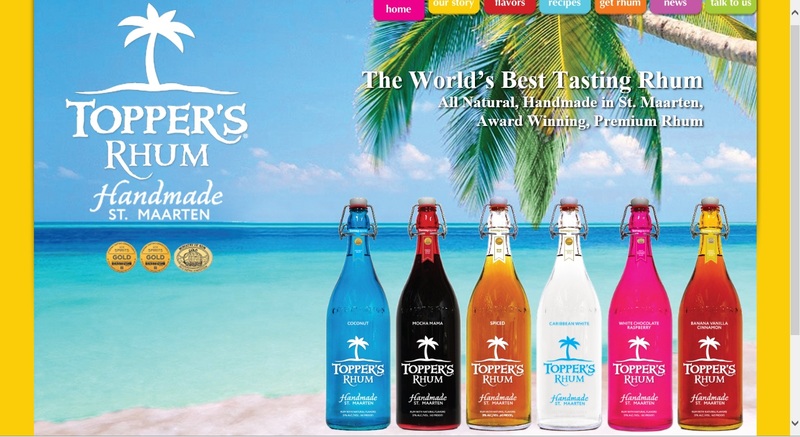 Topper’s Rhum Flavors are available in 50ml, 100ml, 750ml and 1 Liter bottles. 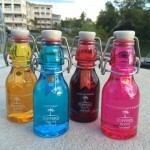 The 50ml bottles are specially made for the Topper’s Rhum Gift Packs for gifting and easy sampling. Topper’s 4-Pack gift set contains a 100ml bottle of Banana Vanilla Cinnamon, Coconut, Mocha Mama and White Chocolate Raspberry, The perfect gift for family and friends and a great way to sample each flavor to decide which flavor, if not all, is your favorite. 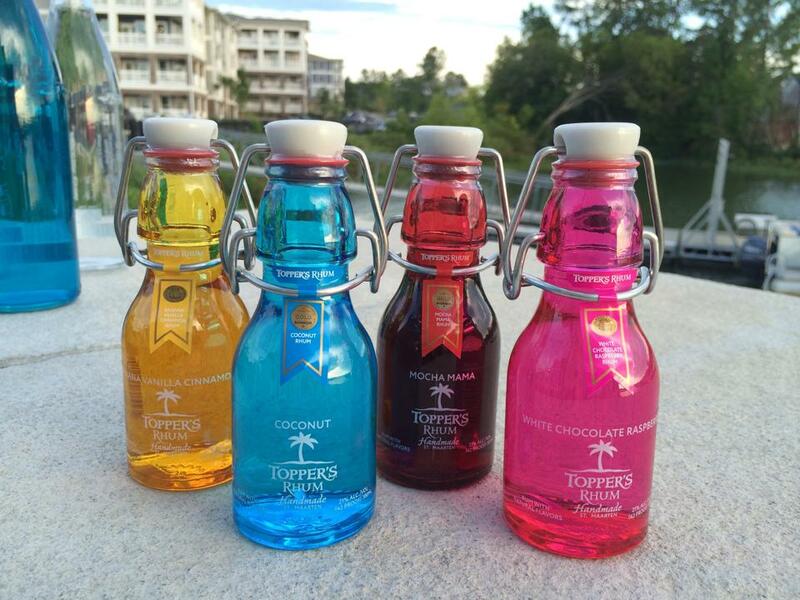 Topper’s 6-Pack gift set contains a 50ml bottle of Caribbean White, Banana Vanilla Cinnamon, Coconut, Mocha Mama, Spiced and White Chocolate Raspberry. The perfect gift for family and friends and a great way to sample each flavor to decide which flavor, if not all, is your favorite. 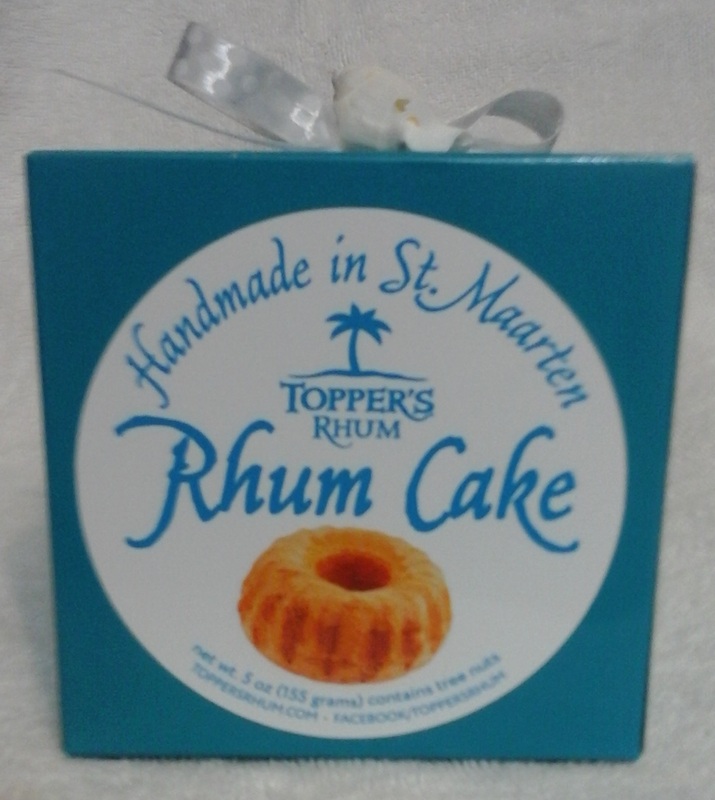 Topper’s Rhum Cake is an exquisitely delicious 5 oz. rum cake from 42 proof Topper’s Rhum, beautifully packaged and available as a premium gift item for gift-giving. We have t-shirts and caps available branded with Topper’s Rhum, great as gift items, souvenirs and for gift-giving to family and friends. Email us for more information and pricing. Or order online at http://www.stmaartenflowers.com/order/index.php.